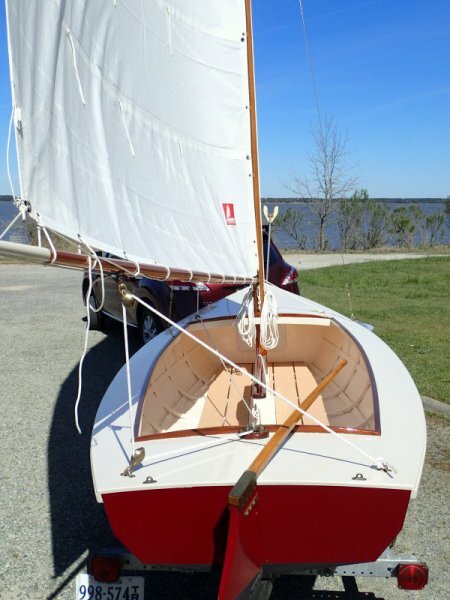 Here’s my recently completed Herreshoff Biscayne Bay 14 built from a WoodenBoat plan. I read the construction article in WB issues 96-98 back in 1990-91 and loved the look of this boat. 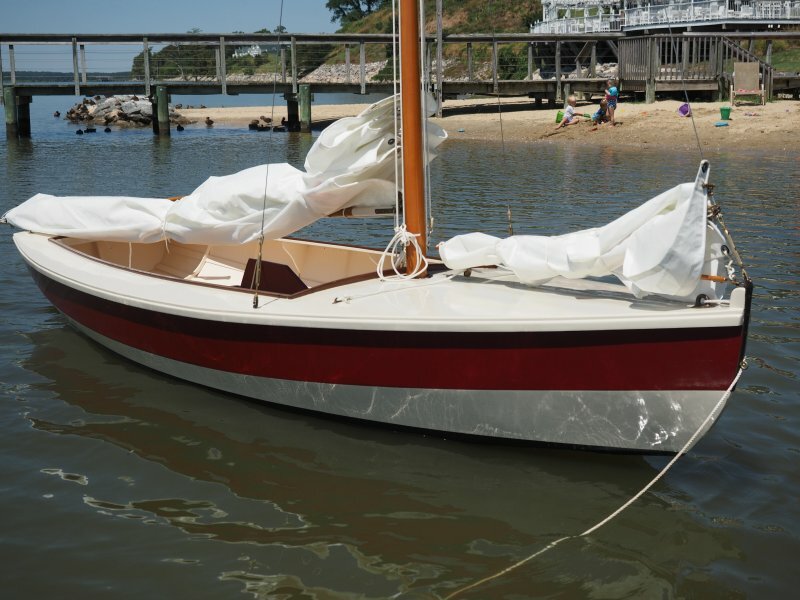 Made a few minor changes to the plan and outfitted the boat using all antique or replica hardware. I sketched a few paint color schemes before settling on a high contrast two-tone hull paint to accentuate the multi-chine hull. 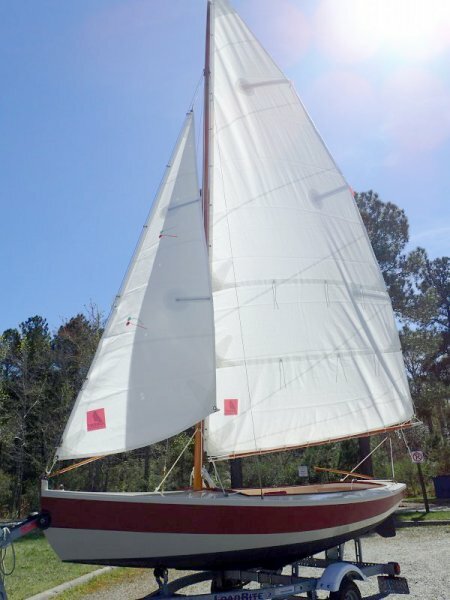 She sails as well as she looks.